As the ski lift reached the mountain top, I released my white knuckled grip on the J-bar and slid forward toward the majestic snow capped Andean peaks looming large in the distance. It was spring in South America and the backside of the mountain, was nearly empty, inhabited only by myself and the occasional lift operator. The resort was visible as a spec in the distance beyond the lift I had just exited, and a mountain vista of astonishing beauty stretched out before me. At that moment, I felt to be among the most privileged of people. The Tres Puntas lift is a bucking bronco of a thing, with a tendency to violently throw its riders into the air at the start having handed me my first and only fall of my ski trip to Valle Nevado in Chile. It’s a J-Lift, usually referred to as a Poma, as are most of the lifts at this particular mountain. To a Colorado resident accustomed to chair lifts and Gondolas, the many long surface lifts provided an unexpected thigh burner of a workout up the mountain. As such, it’s good to take a break at the top of the lifts. It’s worth noting that I was informed by several people during my six days on the mountain that I was lucky – at this time of the season in the year prior there had been no snow. The year of my visit I was treated to an almost completely open resort that was largely devoid of other skiers. It felt like my own personal mountain. I advise calling ahead to check on conditions prior to booking. 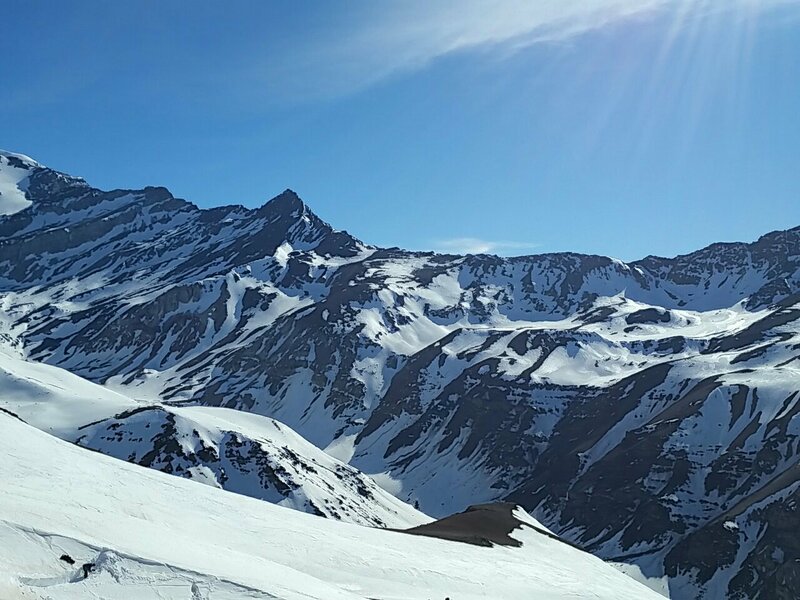 Valle Nevado is part of the Tres Valles system of Chilean ski resorts, which also include La Parva and El Colorado to the north and west. Both of those other resorts are visible from various parts of the mountain and are accessible by skis if you can afford the lift tickets to them. Actually, in the case of La Parva, it’s possible to accidentally ski down the mountain to it. In this case, you would be stuck buying a lift ticket to get back to Valle Nevado on skis. Caution is advised in this regard. I caught myself just time – take note that any unmarked lifts in your Valle Nevado map may not be Valle Nevado lifts at all. 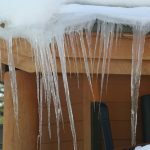 The resort is situated in a high mountain bowl and is known for its excellent powder in peak season, but spring visitors to all resorts in the area should be prepared to ski ice and crud. The mountain groomers did an excellent job with what was available and only one of the six days I skied was icy enough that I quit the mountain early for the bar. However, spring conditions are spring conditions, and visitors should be prepared for them. Visitors should also be prepared to get to watch an incredible array of ski racers train in the mornings. One of my favorite activities was to sit on the patio outside the gondola unloading area and admire the skills of the racers after I had myself completed my morning runs. Skiing aside, the resort has other offerings for non-skiers or skiers taking a break from the slopes. There’s a hot tub, outdoor fire place, and several shops, restaurants, and bars. It’s best to purchase a food package, as it’s particularly expensive to eat if you don’t. One can save a bit of money by filling up on soup and hot cocoa at the daily apres ski event before dinner. Tipping is expected and will be added to your bill at the end of your stay if you don’t tip along the way. The treacherous class VI drive up the mountain is far enough from Santiago that transport will need to be arranged in advance and if you choose to not rent a car, it can be difficult to get to other areas. 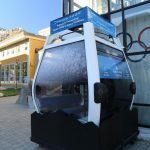 A shuttle is available from the hotel area to the base of the gondola and non-skiers are allowed to ride that gondola up to its end at mid mountain if they have a lift ticket. Some other shops are available at the gondola base, and food and drink are available mid mountain for skiers who do not pack snacks. While reportedly not the most affordable ski resort in Chile, Valle Nevado is absolutely worth your time if you can manage it. 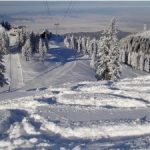 The skiing is excellent, the vistas stunning, and the staff friendly and welcoming. They are also incredibly patient towards those with poor Spanish language skills and will even accept money in USD if you forget to exchange for some Chilean Pesos in advance. To these things I can attest from personal experience. Ski Chile, starting with Valle Nevado. 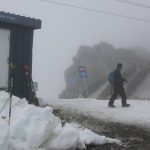 Good to see your update about recent visit to Valle Nevado. 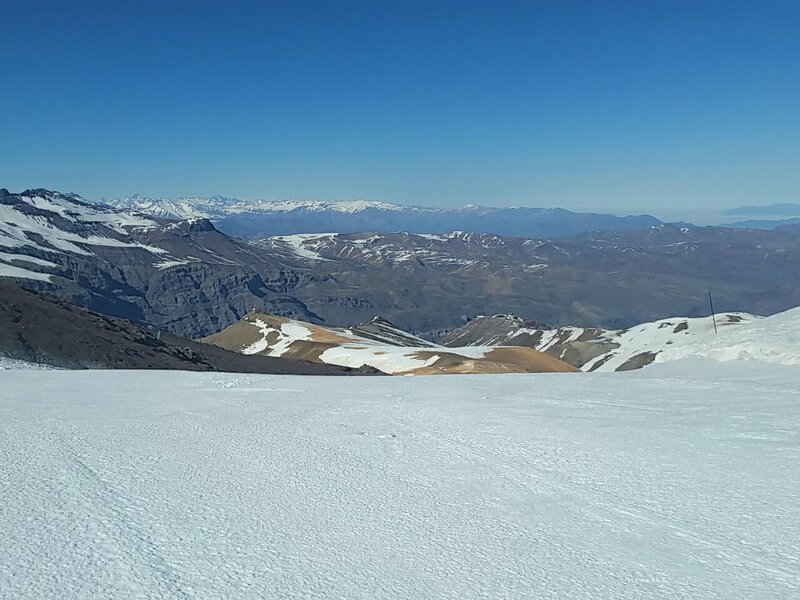 My name is Thomas and I live in Montevideo, Uruguay and I’ve been wanting to get a ski trip in, but checking the reports at Valle Nevado it seems like it just hasn’t really been snowing. One question – From the research I’ve done, it seems like lodging in the valley itself is quite expensive, like 3 or 4 times as pricey as staying in Santiago. What was your experience in terms of that? Did you stay in the valley or make the trip to and from Santiago every day? I won my trip, so I was able to stay at the resort and eat both breakfast and dinner for free. 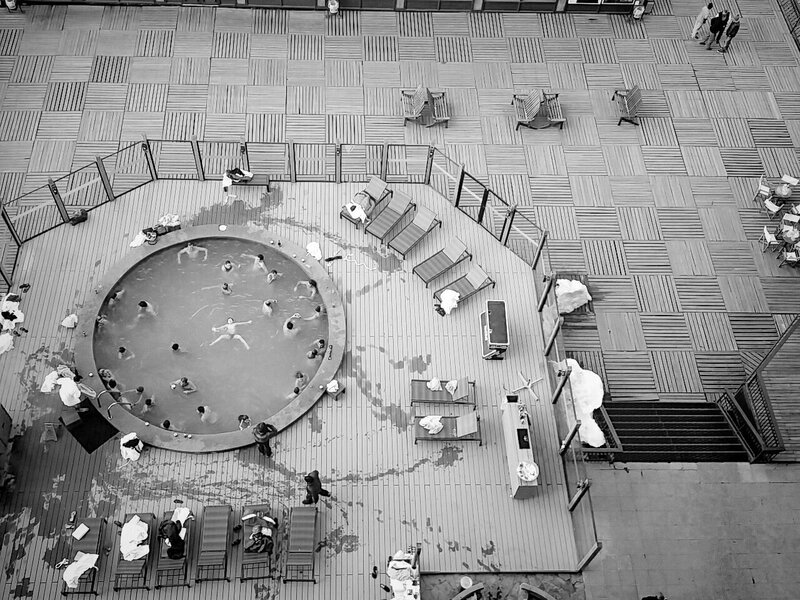 It was a fortunate situation as I most certainly could not have afforded the stay there otherwise. It is worth noting that there are 3 hotels at Valle Nevado, all with different price structures. The Hotel Valle Nevado is the most expensive, followed by the Puerta del Sol, and then the Tres Puntas. There are also condos (the Mirador del Inca being one), that our driver told us can sometimes be rented. Also, there’s a little grocery a short walk from the Puerta del Sol and Tres Puntas which can be used for food to save you from having to eat at the expensive restaurants. If those options are still too pricey, I’ve heard that it is more affordable to stay in Farrelones. It is a small mountain village from which El Colorado can be accessed. Since Valle Nevado is accessible via El Colorado, this is one way to ski that resort without staying there. Unfortunately, this option would require lift tickets for both El Colorado and Valle Nevado. My understanding is that the three resorts in the Tres Valles system (El Colorado, Valle Nevado, and La Parva) do no cooperate on lift ticket prices, so you will still be paying full price for tickets to each resort. However, staying in Farellones should at least allow for cheaper housing. I would also consider two other things: the current snow coverage and your ski ability. My understanding is that Farellones and El Colorado melt the fastest, which can limit accessibility. When I was there last spring, the only part of El Colorado with snow was the eastern face of the mountain (the side that faces Valle Nevado). La Parva had some snow, but our driver told me that El Colorado and Farrelones were otherwise dry and un-skiable. Also, the run down the eastern face of El Colorado looks pretty steep and the only way back up it is via a thigh burner of a T-bar lift. I do not know what level that run actually is and I have only seen it from Valle Nevado, but it’s worth considering your ski level. I only used transport twice for my trip – to get to Valle Nevado from Santiago and then back again at the end of the trip. I used Turistik, a company that I found to be affordable and organized and would use again. The road up the mountain is full of switchbacks and stray hoofstock, so having a driver is nice. However, if you plan on moving about quite a bit, it may be best to consider renting a vehicle. Also, the road is one way sometimes, typically certain times of the day on Saturdays, Sundays, and holidays, which can limit movement. For these reasons and due to the distance, I would not recommend staying too far down the mountain and commuting up every day. It’s possible you could find something at the base of the mountain and not all of the way back in Santiago, but you would still be dealing with quite a drive and possible closures due to one way traffic. It actively snowed very little when I was at the mountain last spring, but the grooming crew did a great job maintaining the existing snow. It was definitely spring conditions – ice and crud – but it was still very enjoyable. It depends what you are comfortable with. I definitely think it is worth a call to the resort to see what kind of coverage they have and how many runs and/or lifts are closed. Best wishes in planning your trip. If you have any other questions, I’ll do my best to help.